It is believed that resumes came into existence more than 500 years back in 1482, when 30-year-old Leonardo da Vinci (renaissance inventor and artist par excellence) wrote a letter listing his many capabilities to the Regent of Milan, seeking to find work in the city. More than half a millennium later, the recruitment scene still hasn’t undergone a significant change. Engineers world over send their resumes to prospective employers in the hopes of landing that dream job. Many of you would agree that resume screening is one of the most time-consuming aspects of the recruitment process, with companies spending millions of dollars worth of time and money to hire the right talent across teams. Organizations either outsource resume screening to outside agencies, employ in-house teams to scour through resumes or install software tools to weed out unsuitable candidates on the basis of keywords. Sometimes, they use a combination of two or more of the above techniques. Whether a company relies on human intervention in this initial process of recruiting or depends on software to accomplish that job, this form of screening is highly ineffective and limited in its scope. While manual intervention is time-consuming and laden with prejudices and biases, software tools rely too heavily on keywords and are limited in scope by their programming. Despite all its shortcomings, resumes are here to stay a little longer than we would like and the best way to handle the situation is to be better equipped at reading and evaluating one, so how to read a resume effectively? A popularly circulated statistic is that on an average, a recruiter spends a mere 6 seconds scanning a resume! While for the trained eye, this might be enough time to ascertain whether the candidate can be selected for the next round, it is highly likely that a well-formatted resume will garner more interest compared to one that is low on readability. 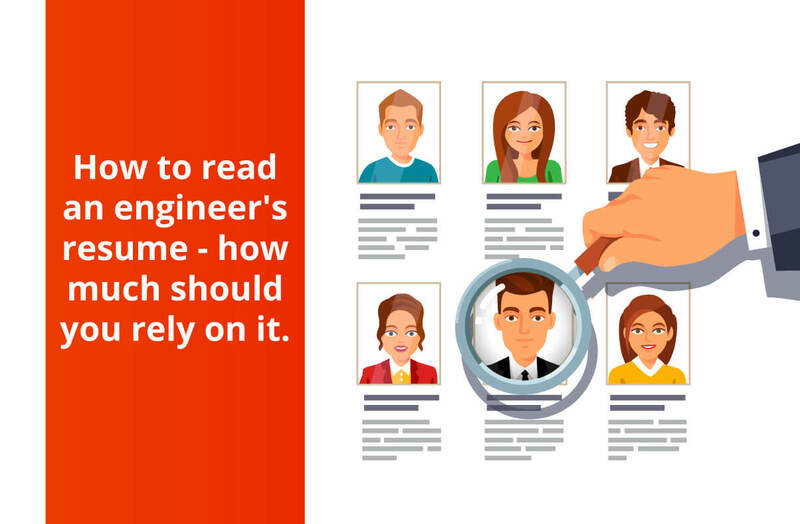 According to Patrick McCuller, software engineer, recruiting a manager and author of ‘How to Recruit and Hire Great Software Engineers‘, spending more time on a resume allows you to avoid a common problem: over-accounting for the ‘prettiness of the resume’. As a recruiter, he used to go a step further and read articles, dissertations, or books written by the applicant. Even reading just the titles of these documents can give a better insight into the skills and knowledge of the candidate. During the customary screening of resumes, a senior recruiter at Amazon, Bryan Reichert, looks for essentially two things in a candidate’s resume: does he/she have relevant experience and are his job skills transferable. The impulse to amplify one’s skills and experience is too great while writing a resume, and many tend to give in to this. However, an effective way to evaluate a resume is to see if the candidate can provide concrete information instead of ambiguous claims. For instance, if a candidate claims to have re-engineered a system to make it faster, see if he has provided ambiguous info (much faster) instead of concrete info (3 times faster). It has been proven over and over again that a prestigious college degree is not a prerequisite for success (Apple, Oracle, Virgin, Microsoft, Dell, and Facebook have all been founded by college dropouts). Having said that, with the very limited scope of a resume, it is unreasonable to expect a recruiter to not give priority to a candidate with an illustrious degree. As many of you would admit, a customized resume, or one tailored for the position applied for, shows much promise and effectively stands out in a sea of impersonal resumes. These resumes reflect how much research was conducted before applying for the position and provides excellent insight into the candidate’s character. Peter McCuller uses a very effective method for screening resumes — the flagging system, whereby the flags information in resumes into 3 categories – Red (bad signs), Yellow (few negative signs) and Green (good and positive signs). To make a decision regarding a resume, McCuller recommends you add up the flags, keeping in mind an organization’s requirements and values. One of the red flags according to senior Amazon recruiter Bryan Reichert is if an applicant has changed jobs too many times in a short span of time – a sure sign of being a job hopper! How much should you rely on resumes? With every corporate job offer attracting close to 250 resumes (according to a Glassdoor statistic), it is a herculean task to sift through all these resumes to find that one person who is a perfect fit. For tech giants such as Google, this number runs close to 3 million resumes a year! As most recruiters would confess, hiring-related gaffes are quite common and cost companies significantly in money and time. According to SHRM Human Capital Benchmarking Report 2016, companies in the US spend on an average close to $4,129 on every hire! Relying solely on a document to assess an engineer’s technical adeptness is far beyond reasonable. You must look for proof of skills and while it has become increasingly common for aspirants to provide links to their Github code, merely looking at the code without assessing its quality and validating that it works will not provide any tangible insights into the person’s coding skills. Validating such a code’s readability is not meant for a non-technical recruiter and thus provides only a superficial level of screening. The need of the hour is a transparent and efficient system that enables recruiters to assess the technical proficiency of an applicant objectively without any sort of biases or prejudices. Many organizations are becoming aware of the limitations of traditional recruitment processes are adopting better solutions such as Technical Assessment Software, hosting Hackathons and problem-solving challenges as part of their employee recruitment strategies. 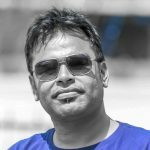 All these techniques allow recruiters to gain insight into the aspirant’s technical prowess and make informed decisions regarding their hire. A portmanteau of the words ‘hack’ and ‘marathon’, hackathon or Codefest is a social coding event hosted by IT industry biggies, where programmers congregate to create useful software. HackerEarth organizes several company-sponsored Codefests and programming challenges that are an excellent platform for the techies to showcase their skills and for the companies to assess the technical prowess of the participants after evaluating their strengths and shortcomings. These evaluations are objective and purely skill-based, making it an excellent hiring technique. Sponsored problems are also an excellent solution to find competent developers. These challenges generate interest and curiosity regarding the technology stack and the problems that the company is working on, among the tech community. Social networking site LinkedIn is becoming an intrinsic part of the employee recruitment strategy of several organizations. With more and more people uploading their profiles on LinkedIn with the intent of connecting with colleagues, past or present employers, and to even seek out prominent players in their area of interest, it opens up endless options for meaningful interaction with potential employees. Whether you rely on LinkedIn’s Referral feature to find vetted talent or you type in the appropriate keywords to search for skilled candidates, it offers an excellent solution to the many problems that plague the recruitment industry. Even with an array of impressive tools at our disposal, the traditional resume is still not a thing of the past. A 500-year-old habit may be tough to break, however, it is high time we supplement our humble resume with more effective and competent tools available today. As more and more companies turn towards technology to better improve the process of recruitment, it is imperative to strike the right balance between man and machine to ensure hiring evolves into a more positive experience.